Our first What's New weekend of the year was great, thanks to everyone that attended! We also had the first meeting of Quilt Circle and we had a BLAST!!! 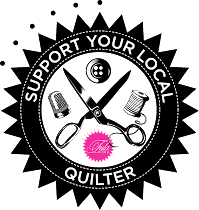 We served breakfast and talked in little more in depth about what it means to be a modern quilter and what the difference is between modern quilters and modern quilts. 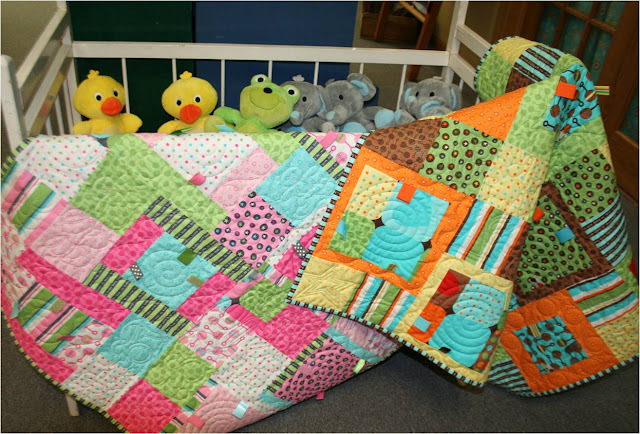 We also talked about how to find inspiration for a quilt project and how to turn that inspiration into a finished project. We will be presenting the same program on February 23rd at 10am. If you're interested in attending please just let us know so that we know how much breakfast to make. Email us at common@gctel.net or give us a call at 320-834-2563. Here are the items we featured at this month's What's New. Everything will be available for purchase online on February 15th at http://www.commonthreadsquilt.com/store.html. Turn your favorite fabrics into a fashion statement! From chic wristlets to functional carryalls (and everything in between), each project includes a full-sized pattern, easy-to-follow instructions, and inspirational photos. 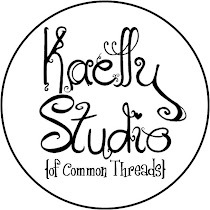 All the sewing basics you need are here, and you will learn some more ambitious techniques such as stitching hook-and-loop tapes, making darts and pleats, and attaching magnetic snaps or zippers. It doesn't seem possible! See one simple block—Squares within Squares—morph into an astonishing variety of completely different quilts. 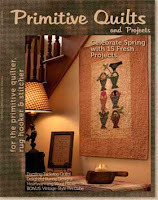 Barbara Douglas rotates, resizes, and rearranges this block to create a dozen stunning projects. Discover some of Quiltmaker magazine's most creative foundation-pieced projects from an impressive list of designers. 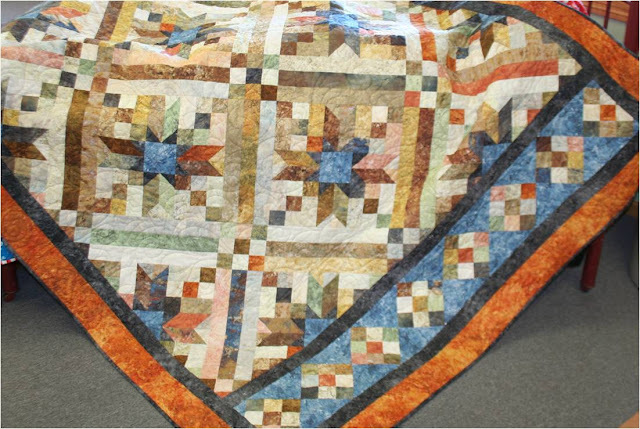 With 14 quilts ranging from whimsical to pictorial, from geometric to floral, this value-packed collection has something for everyone. There is so much in this magazine, we can't list it all. Click HERE for details. This funny outdoorsmen show what really happens out there when they are hunting and fishing. 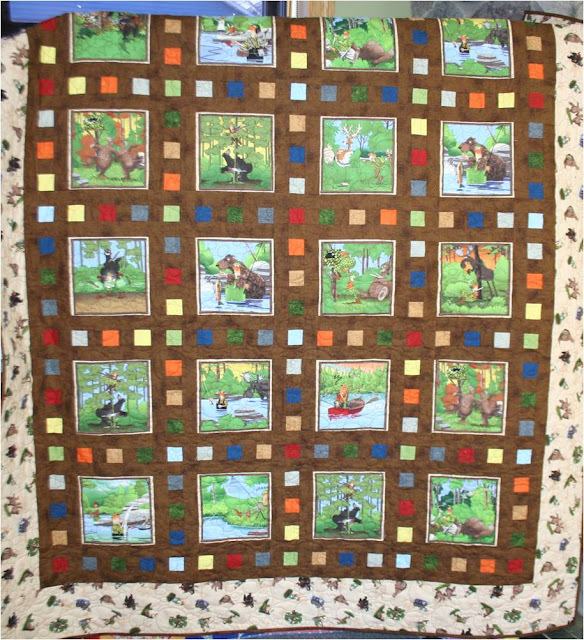 Each block is has a different funny hunting/fishing scenario using the Slideshow pattern by Terri Atkinson. A fun kids quilt featuring rockets and planets using "Launch" fabric from Robert Kaufman. 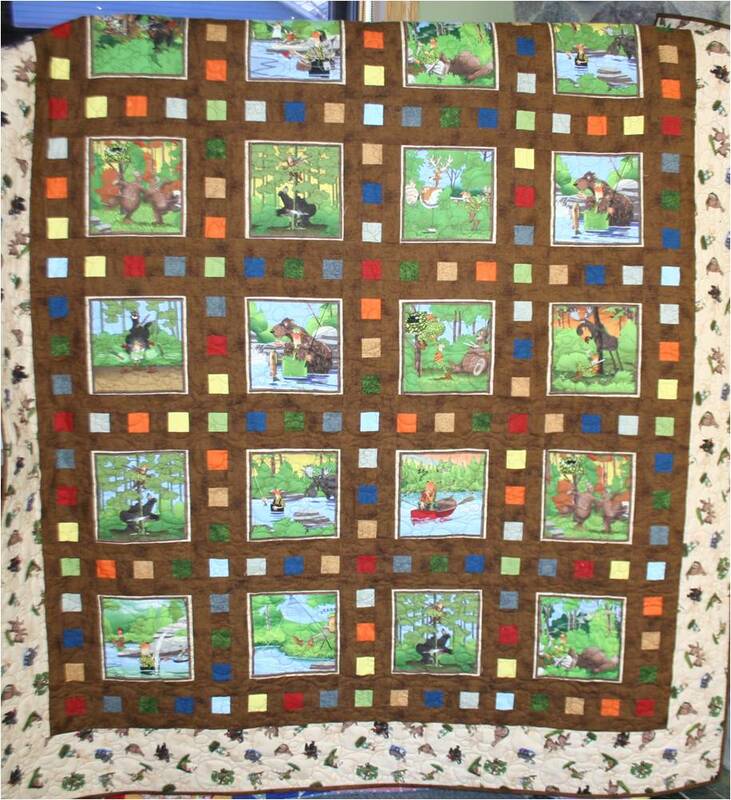 We had a lot of fun making this framed square quilt using the Slideshow pattern by Terri Atkinson. Perfect for the astronaut in your family. This quilt was made for us (to show you) by Jim Cavers and quilted by him as well. 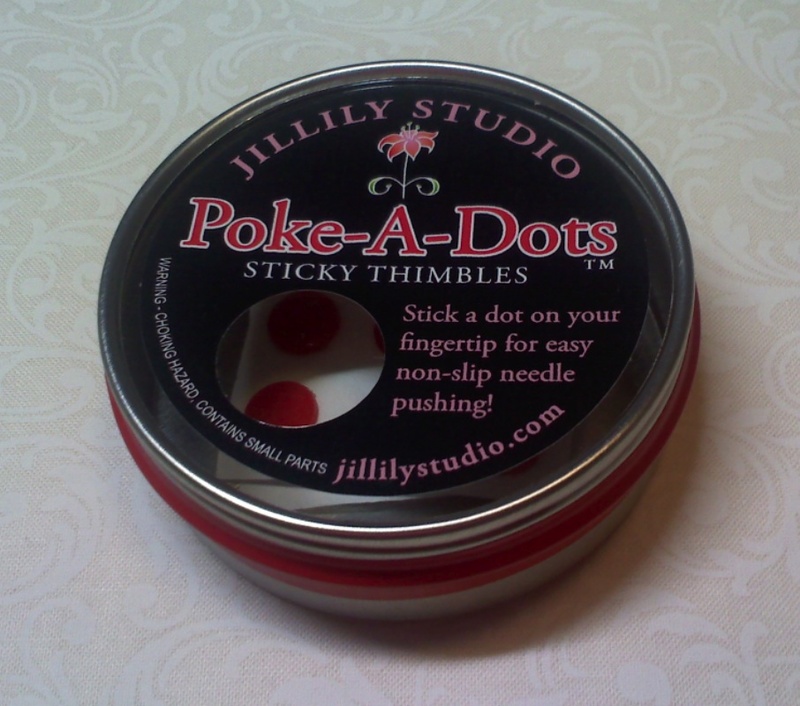 The kit comes with fat quarters for the leaves, you choose how to arrange them. 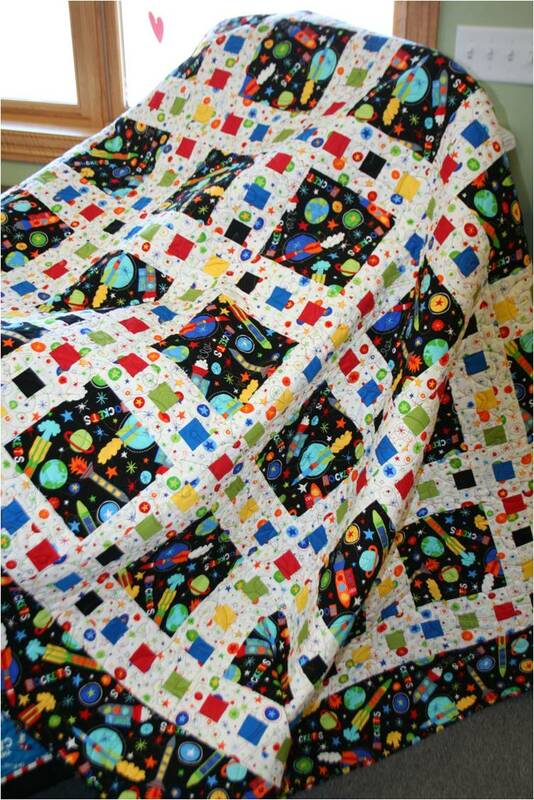 Made with the Stonehedge fabric, this quilt is supposed to resemble granite. I just can't stop looking at it! Minnesota designer, Katie Hennagir, designed the "little one" fabric Kaufman . The colors are bright but cool, perfect for the modern baby nursery. 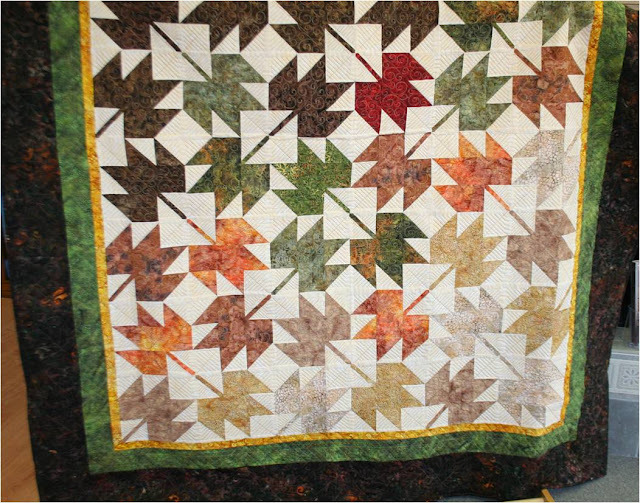 She also designed two patterns using the ribbon quilt idea. We had some fun with Dr. Seuss since his birthday is next month. 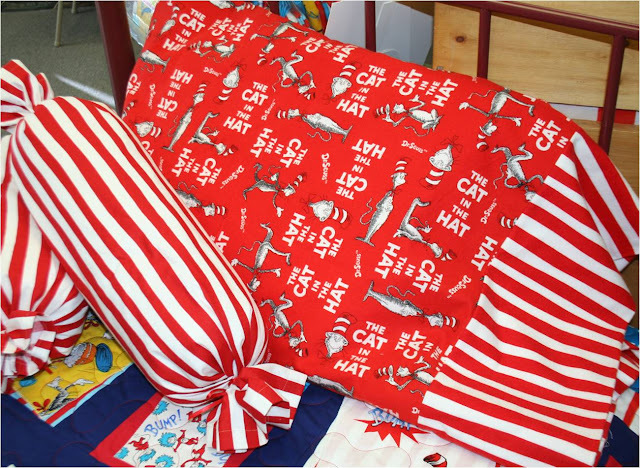 The flannel pillowcase is perfect for those cold nights and great for a kids room! Common Threads is supporting the Ice Angels in this year’s Polar Plunge to support The Special Olympics. They will be jumping into a frozen Lake Carlos. The team consists of Katie, Holly, and a friend, Erika Berglund. Show your support by joining the team, donating to the cause, or cheering us on February 26th. 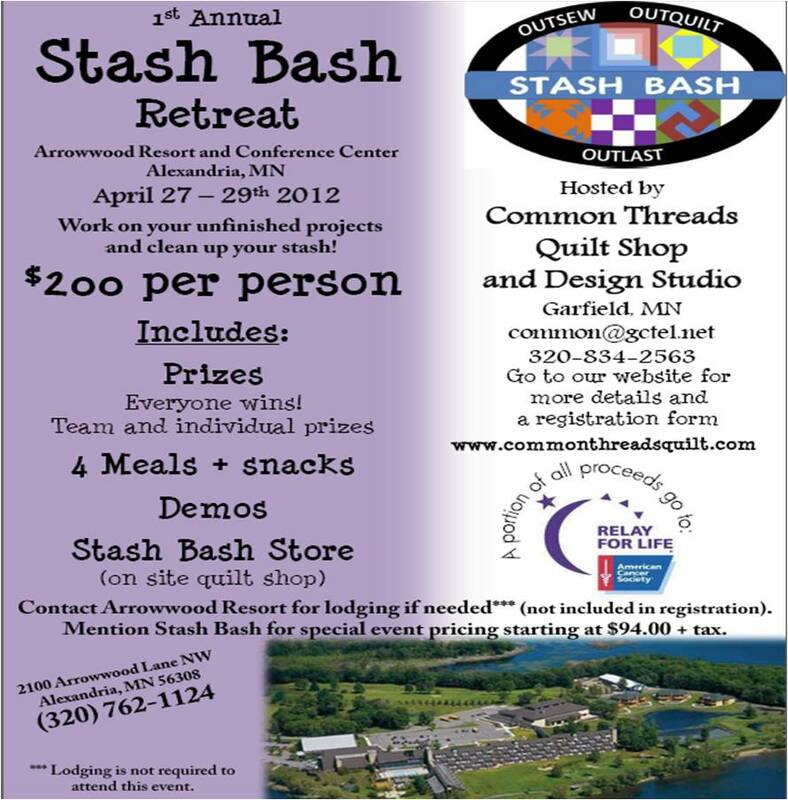 If you would like to join or donate, go to:http://www.plungemn.org/team/iceangels. There will be a Sunday brunch and burger bar prior to the Plunge in the Lake Cafe at Arrowwood Resort. Join us at Rafters Lounge at Arrowwood Resort after the Plunge! There will be a free chili bar with goodwill donations to Special Olympics Minnesota. Oh...how I wish I could join in all your fun! You girls rock...dillydally style!